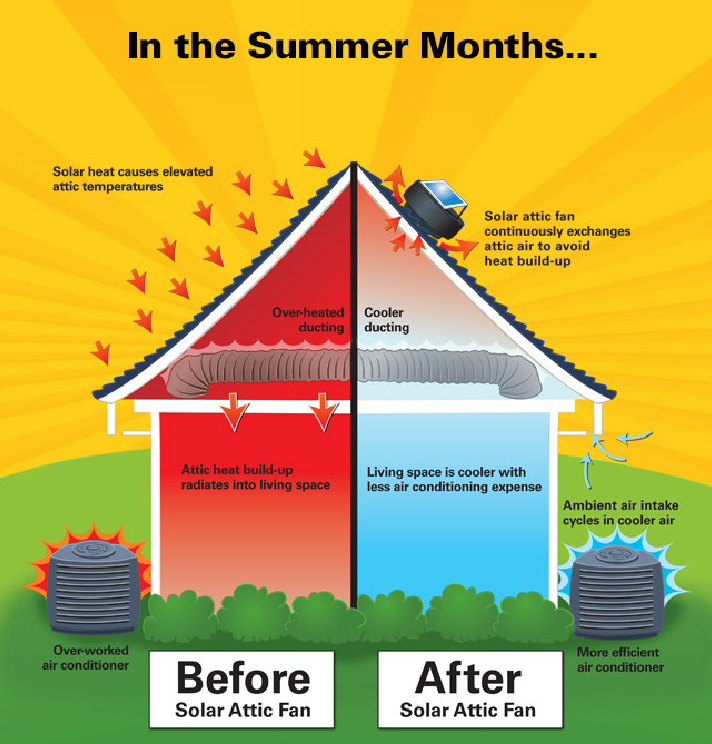 Improve Your Home's Energy Efficiency with a Solar Attic Fan A well-ventilated attic will help reduce your energy costs several ways. Improved air circulation in the summer months will help remove hot air and reduce the temperature of your attic. This will keep the hot, stagnant attic air from seeping through into your living area. 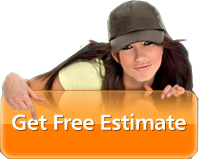 It will also help reduce the surface temperature of your attic floor and your interior ceilings. The reduced temperature in your attic will also assist your air conditioner by keeping the ductwork and the air inside cooler. The resulting effect will be cooler air flowing through your HVAC system and reduced strain on your a/c unit.